Free Speech in HOAs: protected in NJ, not in FL? - Neighbors at War! Free Speech in HOAs: protected in NJ, not in FL? 3 Comments on Free Speech in HOAs: protected in NJ, not in FL? As the 2016 Presidential election campaign heats up, so do political sign controversies in homeowners associations. Here’s a perfect example from Florida, a dispute over a Hillary Clinton sign in a resident’s window. Howard Finkelstein (2) is Public Defender for Broward County in Florida, but he moonlights as a legal analyst for the local Fox News affiliate. According to Finkelstein’s analysis, an HOA can deny a resident’s right to display a political sign as long as their documents are “written correctly,” and if the homeowner took this to court, she would “probably lose.” However, an HOA cannot allow some types of political signs (such as the one we see in the video about gun ownership rights) and not others ( a sign supporting Hillary Clinton). That would be Selective Enforcement: that’s the kind of inconsistency that gets HOA Boards in trouble, the kind of stuff that leads to billable hours to the Association attorney to defend the indefensible. Guess who pays for this folly? Why, that would be all the homeowners. Of course, Howard brings up the standard argument that because it is not the government, a private HOA can make up rules prohibiting signs. Or, as I like to say, the standard industry claim is that the Bill of Rights Need Not Apply, including your guarantee to Free Speech under the First Amendment. But, is that absolutely true or is subject to interpretation? In 2012, the NJ Supreme Court, in Mazdabrook vs. Khan(3) ruled that an Association’s restriction against placing a political sign inside a condo unit’s window was unconstitutional under state law. Of course, the facts in Mazdabrook bear a striking resemblance to the action taken by Valencia Morris at The Enclave at Cutler Bay. Ms. Morris was threatened with a fine if she did not remove the small political sign she had placed on the inside of her unit’s window. 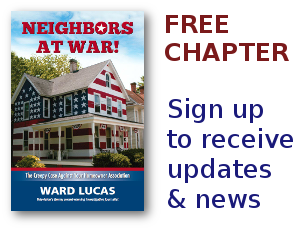 More recently, in 2014, in Dublirer vs 2000 Linwood Avenue Owners (4), the NJ Supreme Court upheld that the Association violated the state’s Constitution when it denied the owner of a Fort Lee Co-op the right to distribute campaign leaflets as he contemplated running for a seat on the Board. In both cases, the NJ Supreme Court ruled that even a private organization such as an Association-Governed Residential Association, cannot restrict “too much speech” and rejected legal arguments for the Associations that a homeowner “gives up” Constitutional rights by taking title to an HOA property. Now, some FL attorneys will argue that the NJ Constitution offers greater protection of rights involving private organizations. So let’s compare the two state Constitutions on the issue of free speech. Now, I’m not an attorney, but these two provisions seem to say essentially the same thing. 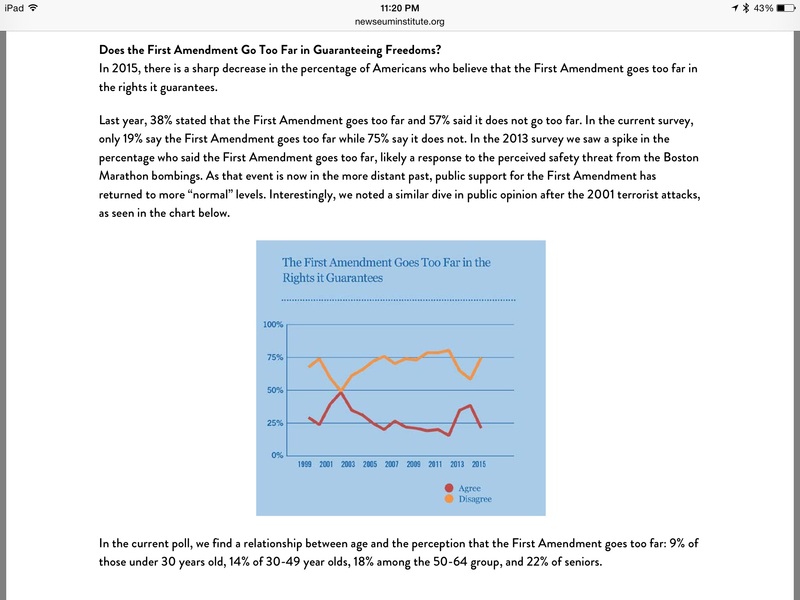 Looking at perceptions of First Amendment rights for different age groups, it’s quite clear that younger generations are not going to put up with private corporate HOAs restricting speech! Time is on our side. 4) Link to NorthJersey.com article on Dublirer vs. Linwood Ave. The biggest restriction of speech is that people in HOAs can’t really speak out against their HOA unless they want to risk the wrath of their HOA and/or bad publicity for their community. I’d love to go to the media about abuses in my HOA, but I don’t want my property values to drop if my HOA gets a reputation as tyrannical (which it is). The only way to speak out is to fight to restrict HOAs in general. It is a horrible dilemma. How can selective enforcement be a protection in an HOA?